Show editor Robert Blumen begins with a history of the show, what he has been doing since he became the show editor a year ago, and where he wants the show to go in the future. The remainder of the show is a series of interviews with all of the active hosts, the founder of the show Markus Voelter, the most recent and current IEEE Software magazine editors Forrest Shull and Diomidis Spinellis, and Brian Brannon from the management and production side. This will be a different kind of episode. There have been a lot of changes in the show over the last two years. Instead of bringing you more technical content, for this episode, I want to tell you, our listeners, where we have been and where we are going. Later on in this episode, I will be talking to the members of the team and the people behind the scenes who help bring you the show. I will do my section as a monologue. If you don’t like this show, don’t worry, next show we will be back to our normal format. First about the history of the show. The show was started in 2006; we are now well into our 10th year, which is quite old for a podcast. By the time that you are listening we will have published over 230 shows. The show was started by Markus Völter, a computer science researcher and practitioner in Germany. 2006 marks the very early days of podcasting. The show was at the time part of a much smaller universe of podcasts. One of our hosts told me that he had at first declined to get involved with this show, because he didn’t expect this podcasting thing would take off. The show started out as an all-volunteer project, very much like an open source project. 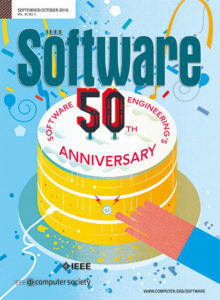 Markus and the founders continued to run the show until Feb 2012, when Markus handed the show over to the IEEE Computer Society under the umbrella of the society’s at-the-time-print magazine Software. The magazine itself has recently gone all-digital and continues to sponsor the show. The show is still all-volunteer on the editorial side. But it benefits from the efforts of employees at the IEEE Computer Society on the publishing side. I got involved with the show in 2010. My first episode was 157: Hadoop with Philip Zeyliger. The way this came about is that my friend, Charles Anderson, who is now also a host, told me about the show, how great it was, and that I should listen to it. I started browsing through the web site, and saw there were dozens, maybe a hundred episodes that I wanted to hear. I downloaded a lot of episodes onto my portable media player and spent close to one year listening to the back catalog. The media player I had at the time was probably double the size of my current iPhone. I have not listened to every single episode in the entire catalog, but I have listened to every episode since mid-2009 and about 85% of the catalog before that. On one of the episodes, they asked for volunteers. I responded, I was asked to submit an episode, which I did, and then I was taken on as a host. Being a show host is a lot of fun. I like producing content and I have a personal mission around educating people. One of the great things about being a host is that I have gotten the opportunity to talk to many of the leading people in the field, and ask them a whatever I am curious about. The show has made a difference for me, in my development as a software engineer, and I hope that it has for the listeners as well. One of the principles established by Markus is that every episode should combine the specifics about a particular technology or process with permanent computer science or software concepts. Every episode educate the listeners in some area that will remain relevant for years into the future, even if people stop using technology X Y or Z. We want people to listen to the new episodes, but I encourage listeners to go back and, as I did, listen to the back catalog. We all take a lot of pride how relevant the episodes are even years after their publication date. We get download statistics from one of the services in our publication workflow showing 15,000 downloads the day an episode is published, and then about 1,000 more per month for years after that. We think that the surge near the date of publication is due to subscriptions through RSS or iTunes, that auto-download each show. Probably the ones coming months or years later are search results on a keyword, or following a link from somewhere. We do not know how well an episode did for at least three years. Now more about the show. When the IEEE Computer Society took the show on, it was expected that many of their editors would also want to produce shows, but for the most part they have not. So in April of 2014, Forrest Shull who was at the time the editor of the magazine, recognized that the show needed someone to really drive the show forward, and asked me to become editor, which I accepted. I will be talking to Forrest later in this episode. But right now, will talk about what I am trying to accomplish as the show editor. First and foremost, I want to continue the show as it has been, as you have come to expect it. The founders of the show have created something great and I want keep it that way. The 50,000 downloads we get for each episode is a great number for a specialized niche topic. Since I became the editor in April of 2014, there were three active hosts. Must first effort was around adding hosts. We now have nine active hosts – myself, Eberhard Wolff, Jeff Meyerson, Tobias Kaatz, Johannes Thönes, Stefan Tilkov, Charles Anderson, Josh Long, and Sven Johann. Some of the hosts had podcasting experience but not on this show, while others were new to podcasting. Stefan has been a guest on the show twice (98 and 210) and Sven has been a guest once (224). After adding hosts, my next moves were organizational. To get the new hosts trained on how to do an episode, I created a manual for hosts. Now I have some very exciting news. We are going to be open sourcing our show host manual some time in 2015. This manual provides detailed instructions for how we create an episode. I have shown it to a few people in the publications and media field already and gotten some feedback. We hope that people in the others in the podcasting and technical publications area will be find it useful. There will be an announcement on the show and on the show blog when this happens. I will tell you a little bit about how we do an episode. First, someone comes up with an idea. The idea can be either a show topic, a guest, or both. There is a lot of discussion of topics on our internal email list. Some times I suggest a topic, other times the host who will be producing the episode comes up with a topic. Once I approve the topic, the host starts developing the show material. The host writes an outline. This is where most of the work comes in. If the host is not already an expert on the topic – and most of us are not because, really, how many things can one person be an expert on? That part requires reading some books, papers, listening to conference talks, trying out the software, whatever the host needs to do to get a good idea of what the subject is about. The host is not trying to become an expert but needs to know enough. Then the host puts his outline up on a google doc and then the other hosts have the chance to review and comment on it. The host makes some revisions, if there are a lot of comments, and the outline is finalized. Then the host does the interview. The outline is not a rigid structure. The hosts all do some improvisation within the structured outline. But we find that the outline gives you a map of where you want to get to and how you are going to get there. If the guest says something that is more interesting than what the host had planned to talk about, the host is free to follow down that path. We have discussed among ourselves the balance between planned content and improvised content. There is no perfect answer to this but every show is a combination of planned and unplanned content. The host records the interview. We do a lot of them on Skype, but some of them are in person, if the host and guest have the opportunity to be in the same place and the same time. In many cases the host and guest are on different continents, Johannes Thönes produced an episode (215: The Gang of Four 20 Years Later) with the host and three guests on three different continents. In the early years of the show, VOIP was not reliable enough or high enough quality to record shows this way. The improvement of this technology has made a huge difference in the organizational part. This has made it possible for hosts and guests to be anywhere in the world. But we are not happy with our audio quality in every case. There are ways to get great audio quality, but that requires the guest to record his own channel, which introduces a different kind of complexity. But we are still experimenting and trying to find the best audio quality. This is an area where we hope to improve in 2015. We are also carefully watching some technologies that aim to solve this problem but are not quite ready for production use. Once the episode is recorded, the host writes the show notes and links, and then we hand it off to the media team at the IEEE Computer Society. Brian Brannon, who I will be speaking to later, manages that part of the process. That group of people do all of the audio editing and publications. This has been a huge benefit for the show of being part of the computer society. When I joined the show, there were volunteers on the team who did some audio and publication, but hosts had a much larger workload of audio production before handing the show off. Having a team of professionals do the media production steps has made it possible for hosts to focus more on producing content. After we publish an episode, we discuss the show among the hosts. The other members of the team give the show host feedback on what we liked and didn’t like. We are all trying to learn and improve as show producers. The historical average over the 9 years is about 2 per month, though in 2013 and the first half of 2014 it dropped to around one per month. In 2014 we stabilizing the publication frequency and in the second half of the year, grew from once per month to twice per month. So far in 2015 we have produced at least two shows each month. As we close out 2015, we plan to increase the publication frequency. There are several moving parts to get this all to work; if we can get where we want, then we will produce in the 3 to 4 shows per month range for the rest of this year. In the second half of 2015, I may add one show host. If this is something that you are interested in doing, then please reach out to me by email or through email, Twitter @robertblumen or on LinkedIn. Like anything a podcast needs to grow and change. The current team want to keep bringing you great content in the traditional areas, and branch out into some new things. We are going to focus a bit more — and this is not a totally new thing but we are going to emphasize it more — on career and cultural aspects of SWE. We had two great episodes already in 2013 with Tobias Kaatz talking to Randy Shoup about job interviews and company culture. We have some other show ideas on the drawing board about career strategies, how to write a computer programming book, and other related areas. Late last year I started writing a column about a specific episode for the IEEE Computer Society’s Software magazine. This column contains a 2000 word excerpt from the transcript of one of the episodes, which is equivalent to about ten minutes of spoken air time. The column used to be available only to print magazine subscribers, but it is now outside of the paywall as the magazine has gone all digital. The magazine publishes six issues annually. For the magazine columns only, we will publish the entire transcript on our blog. We would love to publish transcripts of every episode but we do not currently have resources to do that. If anyone has ideas about how we could get transcripts done economically, please contact me. If you would like to volunteer to transcribe one or two shows per year, then contact me as well. Another big goal for us starting late in 2014 has been to reach out and engage you, the listeners, more than we have in the past. Until now, there have been three channels for reaching us – email, comments on our blog and writing a review on iTunes. The email address isteam@se-radio.net. Writing a review on iTunes still works, but that has not been popular with listeners. Very few people have chosen that format, and that is why we are trying other channels. We are now active on all of the major social networks. On twitter our handle is @seradio (no dash). Please follow us there. If you like the show, then retweet, favorite, or direct message us. Jeff Meyerson is running our facebook page, called Software Engineering Radio. Be sure to look for the Facebook page, not the Facebook group. There is a facebook group called Software Engineering Radio that has been inactive for several years. Tobias Kaatz is leading our group on Google Plus by the same name. I organize a group on Linked In with the same exact name as well. You can find any of these pages or groups by searching for Software Engineering Radio. Please follow us or join us on any of these platforms that you personally use. Starting with episode 218, we are pre-announcing upcoming episodes on our social platforms. Another small change is our new show logo/favicon. This was designed for us by Shopey Mossavar-Rahmani and we are using it on all of our properties. We really want to hear from you, the listeners, about how we are doing. What do you like and not like about a particular episode? What are some topics and guests you want in the future? 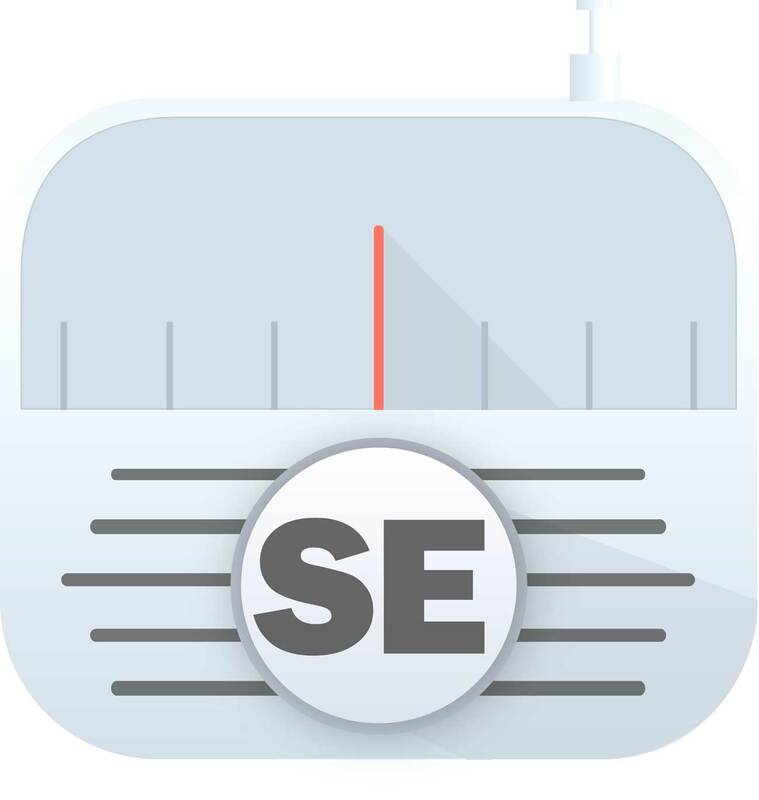 And how has SE Radio impacted your life and work? We invite listeners to discuss the individual episodes and the show in general on any of the channels. You can reach out to us; we promise to read everything, and to respond if you ask us a question or otherwise request a response. You can also reach out to individual hosts. Most of us are on Twitter, LinkedIn, GPlus, or you can find out our individual contact details on the team page on the site. And now I am going to end my part of the episode. You will next hear from each one of the hosts and the management team. I am going to start with an interview that I recorded in mid-2014 with Markus Völter. I had planned to do this current episode some time in 2014; this interview was recorded about one year before the time that you will be listening. Some aspects are a bit out of date but I wanted you to hear it anyway. And then I will be talking to all of the current active hosts and members of the management team. I hope that you like this episode, and all of us hope to hear from you. For software engineering radio, this has been Robert Blumen. I want to thank you all of you who contribute to give us these wonderful podcasts. I really enjoyed very much this specific episode, specially because you talk about the history and your experience doing that. 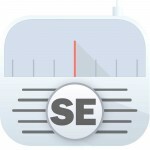 I discovered the SE radio two years ago, and since then I’ve been listening each episode, no matter if the title is interesting or not for me. Always I learn something new from every podcast. Also, I usually share this material with my colleagues because it is an excellent approach of learning about software architecture, new languages, culture, etc. Again, thank you so much, and please continue with this wonderful work.